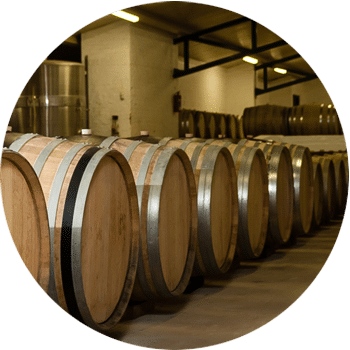 Eikendal Wines, with its distinctive barrel-vaulted cellar and towering fountain, is a landmark on the R44 road between Somerset West and Stellenbosch. 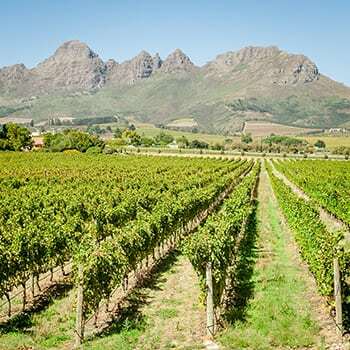 The Helderberg ward, on the slopes of the Helderberg mountain, produces some of the Cape’s finest wines. The cooling effect of the moisture laden sea breezes from nearby False Bay, combined with the excellent soil structure of Eikendal’s vineyards form ideal conditions for growing noble, classic grape varieties. The moderating effect of the Atlantic Ocean results in cool afternoons and evenings that are ideal for producing quality grapes. 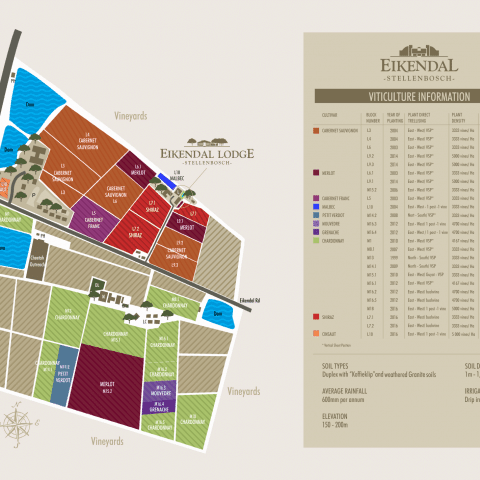 From day one it was clear to us that Eikendal’s magic lies in its terroir. All you have that is completely your own is your piece of land – you need to unlock the key to your land and if you are able to achieve that, it takes you to the next level. Purposeful viticulture and winemaking gave focus to where we want to position our range of wines as a brand, and it became very clear to us that we are able to create something special at Eikendal – what excites us is that we are still not at the peak and that the sky is the limit…great things lie ahead for Eikendal. 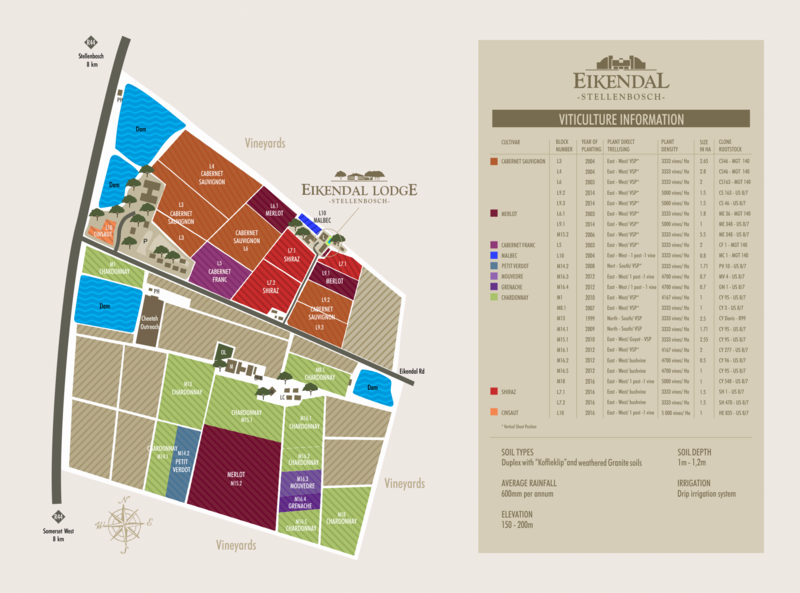 Eikendal blends modern viticulture with Old World winemaking. The focus in the vineyard is to create maximum fruit and structure in the grape berry with as much concentration as possible – in the cellar it’s all about preserving those flavour we worked so hard for and ensuring we maintain freshness, elegance and finesse. With that focus we have that modern yet old world touch which appeals to palates worldwide. It also shows in our achievements in the sense that it is worldwide and not just focused in one place. We work as hard as possible in the vineyard to work less in the cellar to really preserve the fruit in the wine. 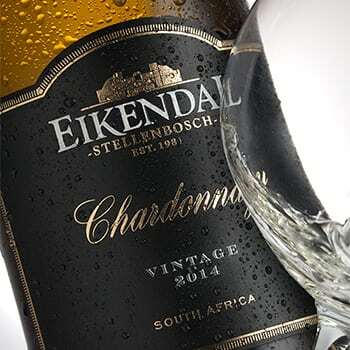 Numerous awards and accolades from around the world bear testimony to Eikendal’s fine wine heritage. We have planted Cabernet Sauvignon, Cabernet Franc, Merlot, Sangiovese, Shiraz, Mourvèdre, Grenache, Petit Verdot and Chardonnay on the farm which gives us a good combination of Bordeaux, Rhone and Burgundian varietals with our oldest vines planted in 1987. Passionate about wine, passionate about life. Our wines are a true reflection of our favorable Terroir, intensely expressed with a firm structure just like the Helderberg Mountain, whilst tempered with elegance and finesse, as only the cooling ocean breezes can provide. Years of hard work, dedication and an absolute obsession with quality have shaped this wine. The wine has an attractive nose, which reminds of violets, plums, black berries, cherries and peppery spices. This wine is a blend of Shiraz, Petit Verdot and Sangiovese. Rhône meets Spain meets Italy! Take care of this wine as it is exceptional. A lot of care, passion andlong hours went into producing this estate classic. It is very expressive with ripe blackberry and black currant characters dominating the nose. Smooth, yet fruit-forward flavours inspire easy, everyday drinking. A perfect choice for a good time with friends! This wine is packed with freshness and hints of minerality, enriched with crisp, ripe pears, honeysuckle, orange peel, apples and honey. Eikendal Janina is a fresh and pleasing unwooded Chardonnay. The extraordinary Mon Désir Chardonnay from Elgin shows hints of jasmine and violets on the nose with extreme tightness, length, minerality and purity on the pallet. 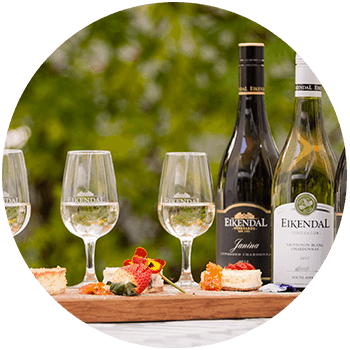 The Eikendal Sauvignon Blanc is a wine with great elegance and balance. This vintage is quite opulent and expressive. Ripe gooseberry and figs with peach and apricot. "Our vines flourish in such a unique and striking setting, framed by the Helderberg Mountains in the background, False Bay fanning from the side, and Table Mountain in the distance. 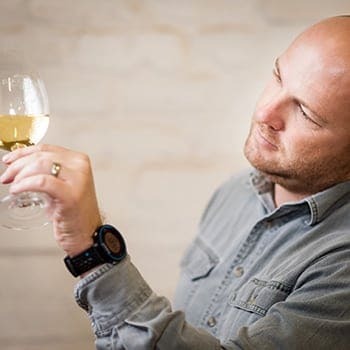 Our wines are a true reflection of our favourable Terroir, intensely expressed with a firm structure just like the Helderberg Mountain, whilst tempered with elegance and finesse, as only the cooling ocean breezes can provide"
– Cellar Master // Nico Grobler. The wine flaunts a bright blush hue, which adds to the freshness and energy of the wine. The wine has a full mouth-feel, with an understated acidity, and a long, pleasing finish. This exuberant Eikendal Méthode Cap Classique is made in very small quantities. On the nose it lures with citrus and lime notes, peaches and cream and a fresh minerality. The long, slow bottle fermentation produced a very fine, pleasing mousse on the palate. Like DNA, excellence is an inseparable part of Eikendal Vineyards; its very essence, the purity expressed in the blend of sublime terroir, choice fruit and meticulous skill. 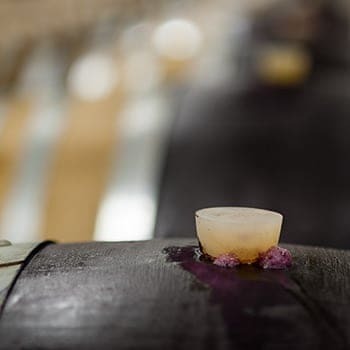 This is the foundation that has seen to a steam of awards across all varieties in its wine portfolio over the years. Download our latest awards here. Give us a shout, we’d love to have you as a client! See a full list of international distributors here. We have many activities to choose from, join us for a memorable day! Public Holidays closed: Easter Friday, 25 December and 1 January. 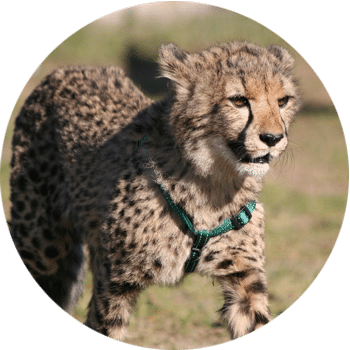 Eikendal has made land available to a group of hand-raised cheetahs in the care of the Cheetah Outreach Programme. Learn more about these incredible cats and Anatolian Shepherd Guarding Dog Project from a distance, or get up close and personal and even step inside an enclosure. 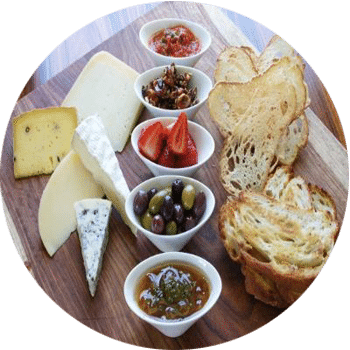 Celebrated as one of the most popular eateries in the Helderberg region, at Eikendal it adds a sumptuous flavour to the Winelands as a relaxed, family-friendly hotspot were excellent food, wine and service, all served up with gorgeous views of the farm, come standard. Take an amble through our manicured vineyards from Monday to Sunday. Enjoy the scenic views and bird life – there are two, clearly marked routes that you can follow, for your enjoyment. 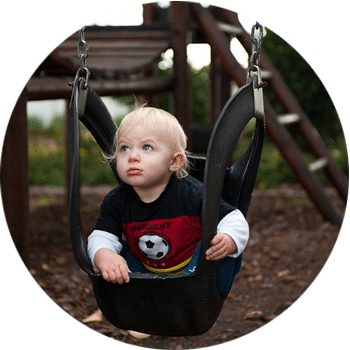 At Eikendal we welcome families of all sizes, and have a great little jungle gym outside by the lawns, so bring the little ones and enjoy a lovely wine tasting or al fresco lunch from the restaurant. Personal service, great hospitality and attention to detail. Gracefully nestled amidst lush vineyards on a working winery, Eikendal Lodge offers 9 beautifully appointed en-suite rooms, each with a private terrace boasting spectacular views of the Helderberg Mountain, our beautiful garden and surrounding vineyards. Arriving at Eikendal you are met with a friendly, relaxed atmosphere and swept away to a tranquil haven, ideal to revitalise the senses. giving each guest a sense of ownership. Guest can indulge in a laid-back al fresco breakfast by the pool, soak up the romantic glow of the fireplace, set foot on a hiking trail through the vineyards and visit our cellar to taste award winning wines. At Eikendal Lodge our hospitality is inspiring and warmed by our genuine desire to please. Giovanni’s has a great menu, and has been with Eikendal for years. This renowned and hugely popular restaurant, Giovanni’s, is adding extra taste to your Eikendal Experience with its sister restaurant, Cucina di Giovanni inspiring visitors to linger longer in our warm company with its unique, Italian themed menu catering for all tastes. Giovanni’s opened its doors nine years ago in Somerset West and today it is celebrated as one of the most popular eateries in the Helderberg region. 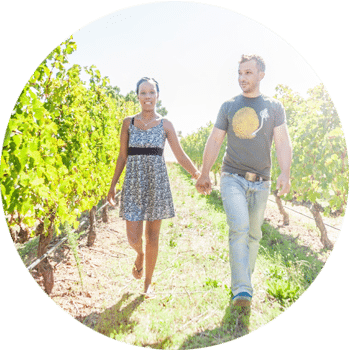 This has prompted them to find their ‘second home’ at Eikendal to add sumptuous flavour to the Winelands as a relaxed, family-friendly hotspot were excellent food, wine and service, all served up with gorgeous views of the farm, come standard. The restaurant’s extensive wine list showcases our award-winning estate wines, whilst popular dishes include traditional pizzas with a twist, wholesome pastas, and succulent veal along with a variety of other mouth-watering taste sensations to coax the senses. The Pebbles Project purpose is to enrich the lives of children from disadvantaged backgrounds with special educational needs. Especially those whose lives are affected by alcohol, through providing support and training to local wine farm and township crèches and establishing after-school provision for older children living in the Winelands. Peace Parks Foundation envisage the establishment of a network of protected areas that link ecosystems across international borders. Constituted as a non-profit organization in 1997, the primary objective of the Peace Parks Foundation is to promote trans-frontier conservation areas “peace parks”, in Africa. Through cross-border partnerships, many conservation areas will make an invaluable contribution to regional stability, job creation and biodiversity conservation. Cheetah Outreach is an education and community-based programme created to raise awareness of the plight of the cheetah and to campaign for its survival. The World of Birds in Hout Bay near Cape Town aims to support conservation on a global scale. Here they breed rare birds and mammals in a protective environment and in as natural a state as possible and bring wildlife to the people, by establishing breeding centres and sanctuaries to show that wildlife and urban development can be compatible. Come say hello in person, or send us a message via the contacts below! GPS Coordinates: S 34° 0' 46.7" | E 18° 49"
Go past several traffic lights, past the Stellenbosch Square shopping centre/De Zalze golf course. 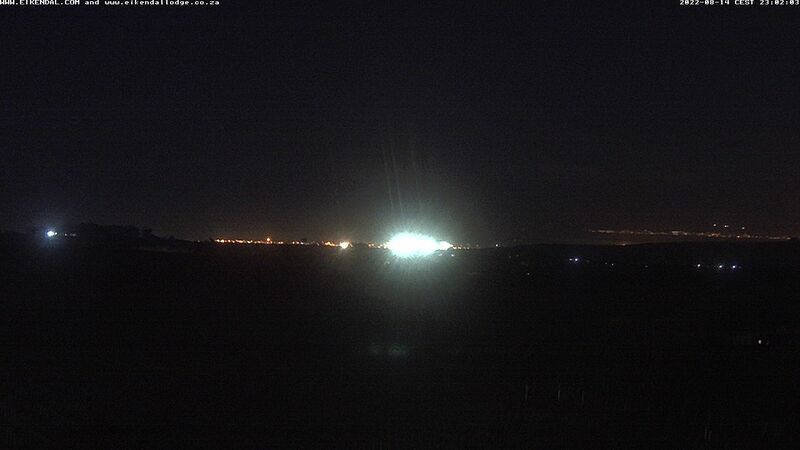 The last set of lights will be at the Annandale/Lynedoch crossing. The landmark there is the Mooiberge Farmstall with its colourful ‘scarecrows’ and strawberries. Eikendal is 1.9 km from this intersection on the left. Also look out for a big fountain in our dam that is visible from the R44. 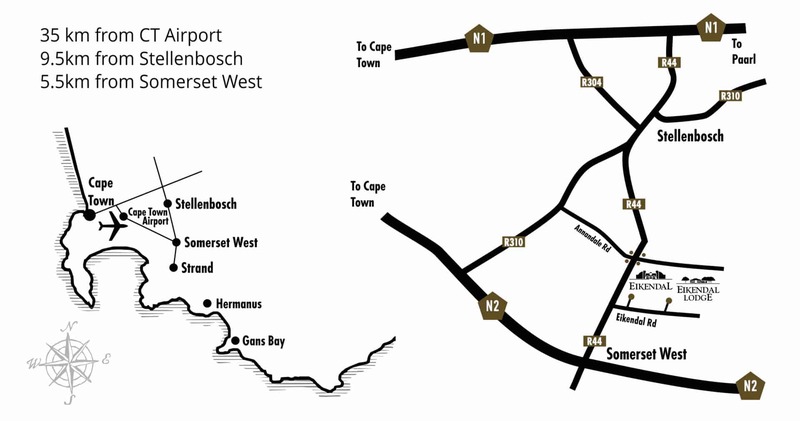 Take the N2 direction Somerset West. Take the Baden Powell/Stellenbosch Turnoff. At the first set of robot at the Lynedoch Petrol Station, take a right into Annandale Road. The landmark there is the Mooiberge Farmstall with its colourful ‘scarecrows’ and strawberries. 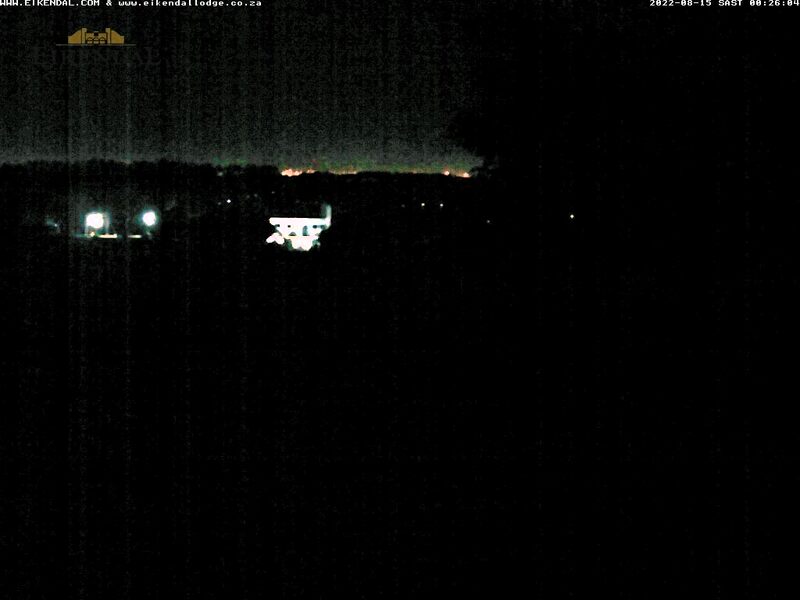 At the next robot turn right into the Strand/R44 road, direction Somerset West/Strand. Good grapes make for a good wine, and so no stone is left unturned to create this quality! Along with great soils, such as koffieklip – “coffee stone” – and sandy soils with a good clay layer beneath, ideal for vineyards. Being close to both False and Table Bay, and the Atlantic Ocean, we have cooling sea breezes that not only aerates our vines, leading to less disease pressure, but also cools down the vines at night, extending the ripening period, leading to better quality grapes and less loss of natural acidity. At Eikendal we take this approach in the vineyard, using chemicals only when absolutely necessary. We are fortunate to have a vineyard team that have been on the estate for generations, and are all exceptionally skilled and trained vineyard staff. We also believe in leaving our cover crops in place, and weed pest control is done manually. We leave the organic material resting on the soil and later work it in, leading to a better aerated and fertilised soil, which cuts down on any pesticides needed. We have planted mostly Cabernet Sauvignon, Merlot and Chardonnay, with our oldest vines planted in 1987, with Eikendal’s innovative winemaker Nico Grobler concentrating on these classic varieties as well as Sauvignon Blanc and the flagship Bordeaux-style Eikendal Classique. At Eikendal we are proud of all the accolades and awards we have received of the last 33 years. We have successfully achieved awards at prestigious South African competitions such as the Nederburg Auction, Veritas, Old Mutual Trophy Wine Show and wine guides like Top100 SA Wines and John Platter. Internationally we have featured amongst many top wines at the Wine Enthusiast, Wine Spectator, Decanter, IWSC, IWC, Mundus Vini, and Chardonnay du Monde Wine Challenges, to name a few. At Eikendal we truly believe that good grapes make for a good wine, and more and more energy goes into our vineyards, with assistant winemaker and farm manager Christo Hanse at the helm. While some of our vineyards are now in their 30’s and producing stellar wines, we also believe that constantly evaluation vineyard quality will help us identify blocks that need to be replaced and when we do, we only us the best plant material available on the market.